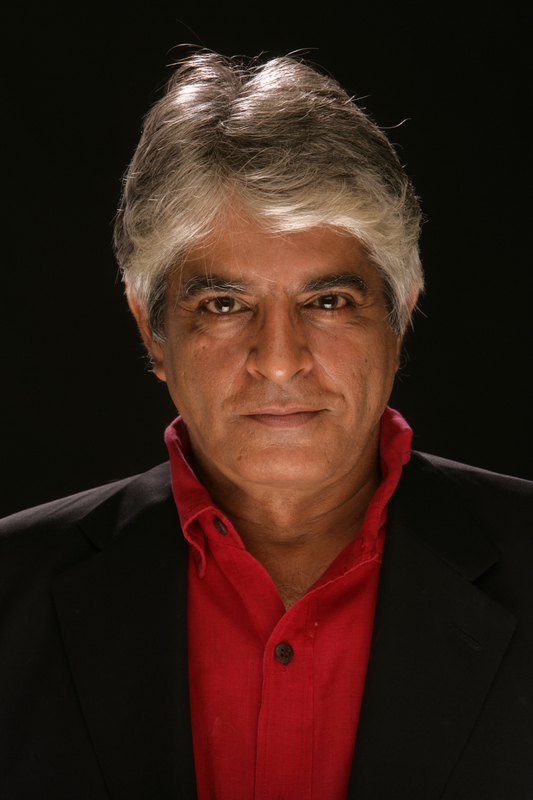 Jayant Kripalani is an Indian film, television and stage actor, director and trainer. And now, with New market Tales,a short story writer. His movies include Trikaal, Janne Tu Ya Janne Na, 3 Idiots. He has acted in TV serials Khandaan, Mr. Mrs and Ji Mantriji, and wrote the screenplay for Shyam Benegal’s film, Well Done Abba. Old fashioned stories with a beginning, middle and end come at a premium these days. Most are dark twisted flights of language that demand applause for brilliance. And then comes Jayant Kriplani’s New Market Tales which is a nostalgic trip to a time and place that the actor-author was once familiar with in the 1960’s and 70’s. Most of the stories are linked to Lindsay Street and New Market and the ‘marketayr bachhas’, or children of the shopkeepers – some of whom were obviously real life people and those familiar with the Market will be able to guess at their identities. There is the cricket team which has the boys out at nets early in the morning before school, including the baker’s son who doesn’t want to be a baker, and the team captain Raju who has insights into the lives of nightclub owners. The stories are told by different someones who come into contact with market people over chai and singaras early in the morning and exchange gossip or who know the shopowners and their families. The pieces are insights into a vanished world, because New Market is no longer what it was, the horse trough lined parking lot having been replaced by an underground Parkomat and many of the stalls being ravaged by fires or the death of the owners. Kriplani scatters Bengali phrases throughout his stories to create a sense of the Bengali milieu, though the language really does not make a difference, especially since New Market was known for its cosmopolitanism. Apart from New Market he also conjures up adjoining streets like Dharamtola, now known as Leni Sarani, or the world of North Calcutta houses where the first tram clatters past at 5am. He also creates some vivid characters like the underwear shop owner, Ganguly Gainjeewala who teaches his rebellious daughter Gopa a lesson in customer relations, or the ‘Mesho’ Hari Prasad Condoo who owns a shop filled with fabled pieces of Waterford crystal and Wedgwood dinner plates on which Queen Elizabeth ate her last dinner of chicken tikka masala, or Swati G, a Sindhi flamingo in shocking pink who runs the nightclub Zacks, despises society women and has a mysterious life story. Swati G’s story in fact, while it is true to the concept of New Market in that it covers life in one of the nearby nightclubs, is actually not set among the shops but tells a bittersweet story of life changed by politics and love. Not all the stories in the collection belong there – Anila, the story of the musical king and his son with a cracked voice for example seems to have been included after the addition of a prologue and epilogue set around New Market. Harish and his bar could belong to New Market, since there are bars in and around the place, but has a different kind of message. However the best stories in the book are the undoubtedly the ones set in New Market – they were apparently written for a TV serial which did not take off. Calcutta is where all fourteen short stories are set. All fourteen of them have different characters. None of them ever meet. None of the stories ever feel remotely similar or repetitive. Yet, they’ve all got a sense of eccentricity which is common to them all. And of course, they’re all placed in New Market, Calcutta. Now I’m not Calcuttian, but it wasn’t hard for me to imagine whatever Jayant Kripalani narrated. There’s no way that the exact sights, sounds and smells can be conceived in our heads if we aren’t familiar with the flavor of a place, but reading this book, you get a pretty good picture. This you can sense through every page you devour. Every tale is set in a slightly different time, but through the story, you get a glimpse of “Calcutta” – the first Indian Territory that the British laid hands on. In fact, the reason New Market was set up was that the British had this whole “holier-than-thou” attitude. They wanted a market which was meant solely for the English, because they were contemptuous of brushing shoulders with Indians. Thus, on the first of January, 1874, New Market was opened to the British public. And then, it seems that New Market became a hub of activity for the people of Calcutta. The description is rather true. In a writing style reminiscent of R.K. Narayan, the actor-director best known for his roles in TV series like Khandaan, Mr Ya Mrs and Ji Mantriji, as well as his role as Aditi’s father in Jaane Tu…Ya Jaane Na narrates stories which always have interesting endings and leave you satisfied, yet wanting more at the same time. These stories all belong to different genres including romance, comedy and tragedy. Some of them are even inspirational. However, every story has an element of humour which lightens your mood. They’re all very clever and witty, with elements that make it appeal to a great variety of readers. In my opinion, the best reading experience for this book would probably be for anyone who has lived in Calcutta and is familiar with the surroundings described in it. 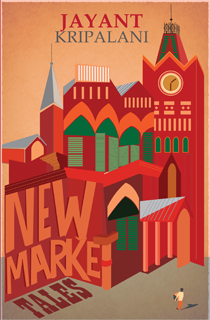 But even still, New Market Tales will leave you entertained, tickled, and above all, induce a burning desire within you to go visit this place. I think you should give this book a read, especially the stories “Homi” and “Mesho”. I have to say, Homi was my favourite by far.